The Revenue Department of Thailand has investigated and found guilty many individuals who were involved in the fraudulent act of evasion of the value added tax (VAT) payments to the department. The total misappropriation of funds came to around $18.29 million worth of Thai baht (THB). Almost 60 companies were identified as being involved in the fraud and were subsequently arrested. This scenario relates to the year 2014, and the period following that. Till date, the department has been struggling to track and collect the appropriate taxes, thus, leading to a loss of billion of dollars to the Thai revenue department. 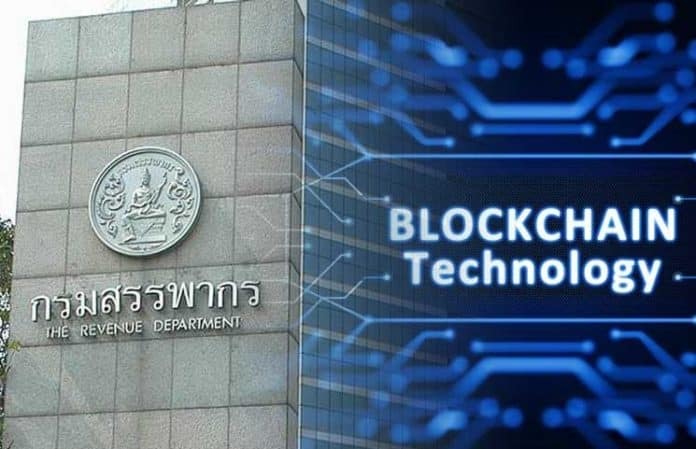 On this, Ekniti Nitithanprapas, the Director General of the Revenue Department, expressed that blockchain may be the best solution for solving fraudulent act and might lead to reduction in tax losses. Ekniti Nitithanprapas states that the blockchain theory is conducted on a trial basis for tracking VAT payments correctly. Further, it was noted by the tax compliance officer that the number of cases involving the fake invoices of VAT was increasing enormously. He stated that they have built up a specific technical lab which will determine the blockchain’s potential in minimizing such cases and will also deal with the verification of Bitcoin transactions. The introduction of blockchain has attracted different companies and government bodies who seem interested to adopt the technology as it ensures transparency, security and real-time information on the transaction. The innovative technology of blockchain has outpaced many other technological advances due to these core attributes. The tax authority of China also implemented a similar blockchain in May to detect tax evasion in the country. They entered into an agreement with internet giant Tencent to create digital invoices on the blockchain in an attempt to help verification of information in the real time.